#Giveaway #RC #Free Green VTech Phone for St. Patricks Day CLOSED! Another huge plus with this phone, aside from the features and the fact that it is green is that it is also very wallet friendly so you can save some green as well. With a MSRP of about $20, I can get my mom a few of these green phones to put around the house and replace some of her outdated house phones! 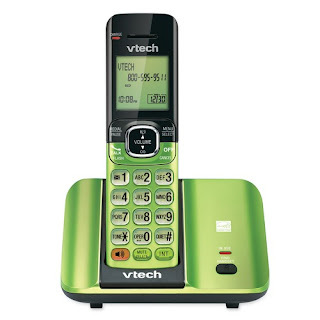 Well, to help celebrate St. Patricks Day and Spring, the wonderful people from VTech would like to give one of my amazing readers their own Green VTech Cordless Phone, like the one I was sent. This was not a paid post and honest/original opinions were used and they are my own. Thank you to the company and/or pr agency who supplied the product for review. Originally published on 2013-03-15 by Katie at Mommy Katie .